Anyway, that’s my Benny Friedman story. A lot has changed in 13½ years. 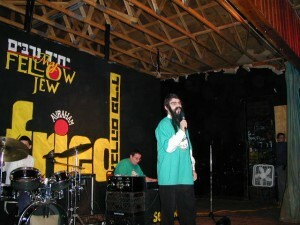 Benny Friedman has gone from “nephew-of-a-famous-singer” to the torchbearer of the new generation of Jewish vocalists. Unless you were hiding under a rock, you heard Benny’s last original album, Yesh Tikvah, as it took over the world two years ago. 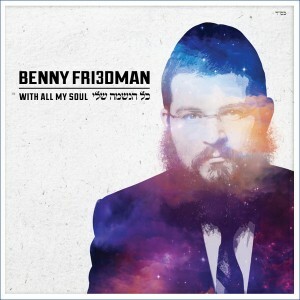 Yesh Tikvah was followed by B’nei Heichala, a collection of Shabbos songs released earlier this year. As I said in the review of that album, B’nei Haichala was not intended to be a sequel to Yesh Tikvah—it was more of a creative detour along the way to the inevitable follow-up album. Well, ladies and gentlemen, the inevitable follow-up has arrived. Kol Haneshama Sheli is the sequel you’ve been waiting for. Track 3, “Ribono Shel Olam” (composed by Yitzy Waldner): It’s 2014, so you knew that Yitzy Waldner would show up somewhere on this album. This slow ballad includes orchestral arrangements by Leib Yaakov Rigler and backup vocals by the Shira Choir. Its lyrics are from the tefilah before Torah reading on yomim tovim, and the melody really shows off the capabilities of Benny’s voice. Track 9, “Hamalach” (composed by Baruch Levine): Baruch Levine joins the composer parade! This song, which sounds inspired by the old London School of Jewish Song version of “Hamalach”—slow waltz, slightly jazzy, mostly the same lyrics—adds in a stanza with the passuk, “Hiney lo yanum v’lo yishan Shomer Yisroel” (“The Guardian of Israel never slumbers or sleeps”), which seems very appropriate. First of all, both verses are recited in the bedtime Shema. Second of all, I am thinking that the addition of this line into the song may have been inspired by the events in Israel over the last year amid the obvious hashgacha pratis which guarded the Jewish population during Operation Protective Edge. I don’t know, just my theory. To conclude: Kol Haneshama Sheli is not Yesh Tikvah—not by a long shot. I almost feel bad for Benny—Yesh Tikvah was such an impossible act to follow, that the inevitable sequel is bound to disappoint some people. I’m here to say: don’t be disappointed. Kol Haneshama Sheli stands just fine on its own merits, and that should be more than good enough for anyone. I think u are exactly correct this album is awesome bum bum is the best! It’s BETTER than Yesh Tikva, by a long shot! Almost every song on this Album is a masterpiece! YT had Yesh Tikva, of course, but I only liked Bsheim H’, Shalom Aleichem, & Mamleches Kohanim (but too much electric guitar for such a Chashuva song…). Kol Haneshama has future classic after classic (I skip Im Ain Ani each time.. “over the top” Rocky for me, seems contradictory to the Pirkei Avos message). The fast songs are so upbeat, positive, and every slow song touches the heart. Solid piece of work.